Our Mitsubishi Heat pumps offer a new way to think about your heating and cooling system. These ductless pumps enable you to create controllable comfort in every part of your home. They can be a great compliment to your current system, or they can be THE system. When selecting your home cooling or heating system, you don’t always have to pick the traditional route. 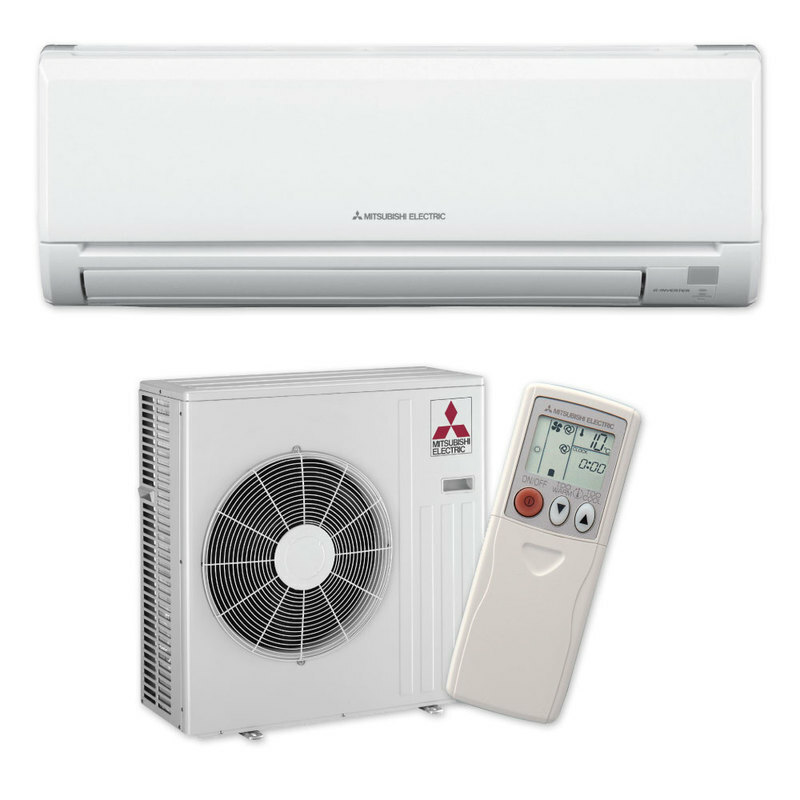 Learn more about our Mitsubishi Heat Pumps to see if they are the right solution for you! Mitsubishi heat pumps protect air quality with their advanced multistage filtration system. The washable filters in the pump allow the system to capture and remove contaminants that trigger allergy and asthma symptoms, spread illness, or impact your air quality. The filters also have deodorizing properties to absorb odors and neutralize the worst smells. Changing your filter regularly, just like any other heating and cooling system, ensures you have the cleanest, highest air quality available. 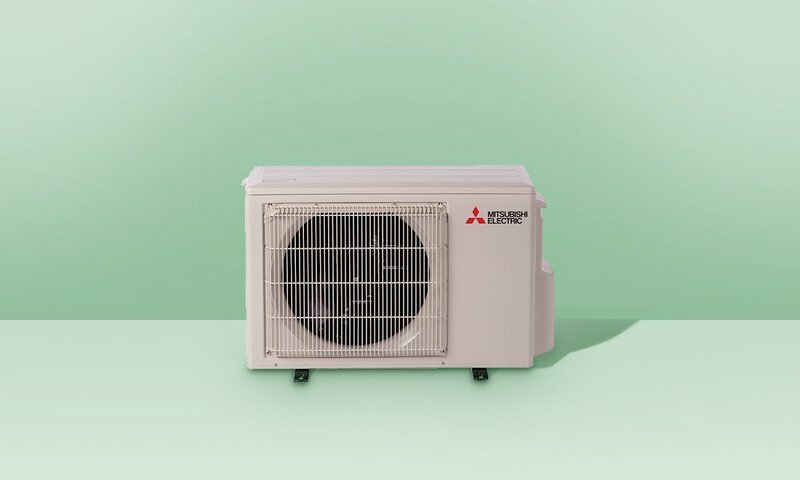 The great thing about these Mitsubishi heat pumps is that they allow you to be more efficient by reducing energy usage without having to sacrifice on comfort. The heat pumps are each designated to a specific zone or area of your home, allowing you to control each room individually. This means you can turn off pumps in areas of your home that are not being used or modify the temperature in each room according to the comfort level desired by the person residing in the room. Instead of being on or off at all times, the compressors in the pump are able to ramp up or down to maintain the comfort level of the room. Home heating is a major concern for families in the winter. Our heat pumps are designed to provide comfortable indoor temperatures in extreme cold climate conditions (as low as -13 degrees) while saving energy and money. They deliver only the amount of hot air needed to achieve the desired temperature and utilize the hot start technology to make sure you feel warm air immediately. Because Mitsubishi heat pumps are not as common, many people assume that they may be noisy, pumping all that air into the room. That’s simply not the case. Our pumps are whisper quiet due to the fact that they are ductless. They deliver air directly to the rooms without the need for noisy fans. They have also been specifically designed to be quiet, with no noticeable sound between on and off modes. Noisy air systems are a thing of the past when you get a Mitsubishi heat pump! With the latest technology, you are able to adjust your heat pumps from wherever you are so when you arrive at home, you walk into a warm and comfortable space with no surprises. You are also able to connect up to 16 devices and control each of them individually, making sure unused rooms are conserving energy, and high traffic rooms are warm and comfortable. With this technology, you can program the pumps to be on a certain schedule so you have less to think about! All of these features combined allow our Mitsubishi heat pumps to allow a consistently comfortable temperature in your home. It allows you greater control of each room, based on the individual needs of the space or the person living in it. The air handlers in each room measure return air and adjust automatically, rather than adjusting based on a thermostat in a different room. Instead of being either on or off, the inverter technology allows the pumps to continuously ramp up or down in order to maintain the temperature. Overall, it allows you to customize the temperature to your specific needs at all times. Chances are great that you have at least one room in your home that's either too hot in the summer or too cold in the winter. 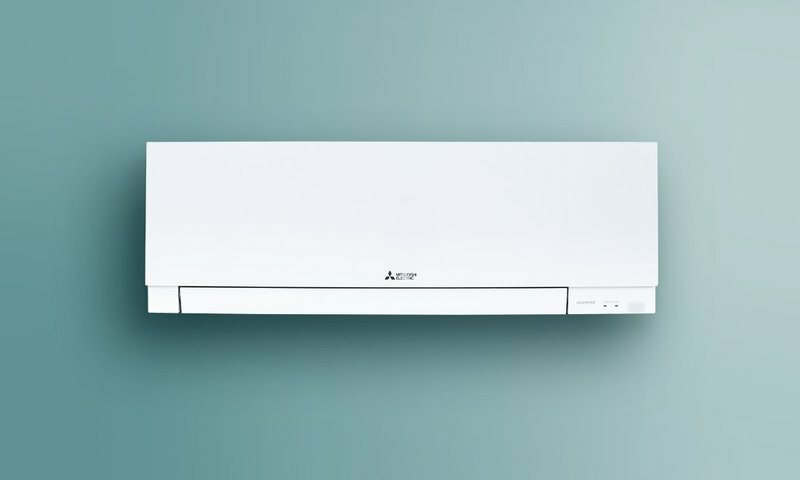 Mitsubishi Electric Zoned Comfort Solutions can easily take care of those hot and cold spots without replacing your current system. Investing in a home renovation offers you the ultimate luxury of creating fresh new spaces you can enjoy in total comfort. With Mitsubishi Electric Zoned Comfort Solutions, you can maximize your comfort while saving energy. No matter the size or scale of your renovation, there are systems to meet your needs. Whether you are building a starter home or the home of your dreams, you deserve to be 100% comfortable 100% of the time. Mitsubishi Electric Zoned Comfort Solutions allow you to provide each room with its own temperature set point. This is the modern customization you and your family deserve. Every cooling and heating system will need to be replaced at some point. When it’s time for a new system in your home, don’t settle for the same outdated, inefficient technology. A Zoned Comfort Solution from Mitsubishi Electric will improve the efficiency of your cooling and heating, save you money, and make your family more comfortable than you ever thought possible.